This is our continuation in a series of articles on how to buy bitcoin in Asia, as we previously covered how to buy bitcoin in Malaysia, Singapore, Cambodia, Philippines, Hong Kong and Vietnam. There are plenty of Bitcoin platforms catering to the Japanese audience, especially following a ruling that legalises bitcoin and digital currencies in Japan in March 2016. Here are some exchanges and services you can use to buy bitcoin in Japan in no particular order. 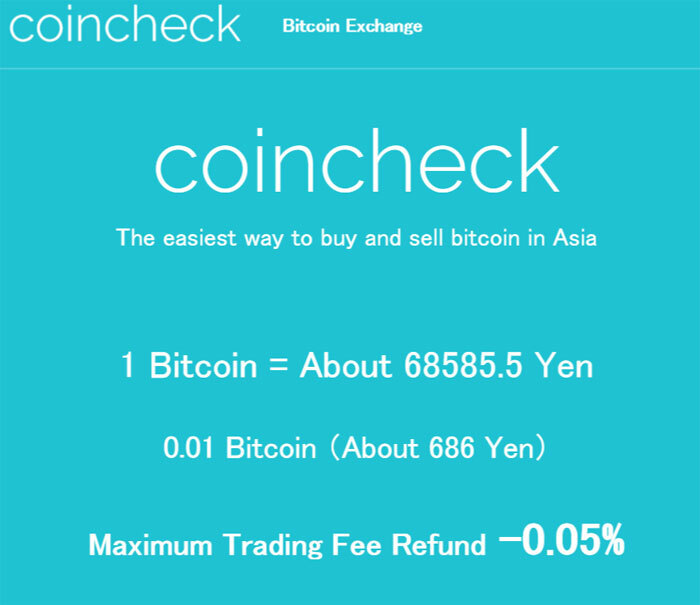 Coincheck is one of the most popular bitcoin exchange in Japan and allows users to easily purchase bitcoin, Lisk, Ether, and DAO tokens from its platform. Under the Market Maker Commission Campaign, Coinchange also provides incentives to market makers by giving a maximum fee of 0.05%. The company also encourages bitcoin donations towards the Kumamoto earthquake victims. In April 2016, BitFlyer secured more than 3 billion yen ($27 million) in new funding, led by the SBI Group’s investment division, SBI Investment. The new capital brings BitFlyer’s total funding to more than $34m over five investment rounds.The largest investment in a Japanese fintech firm by far, CEO Yuzo Kano said that BitFlyer focuses on ‘both virtual currency and blockchain since day 1’. The Tokyo-based platform offers bitcoin and ether trading, a bazaar, and blockchain lab. 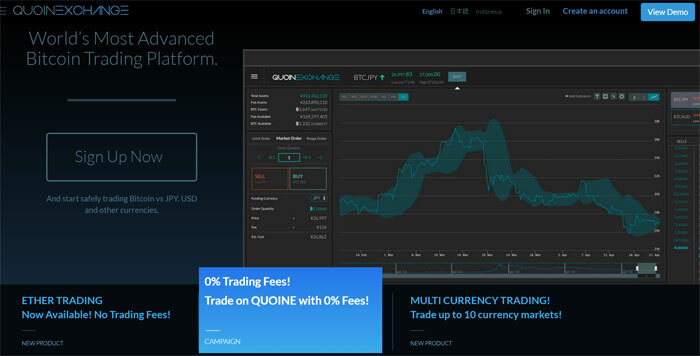 Marketed as the ‘world’s most advanced bitcoin trading platform’, Tokyo-headquartered Quoine raised $20 million in venture capital in June 2016, after a $2 million angel investment two years ago. Boasting a core management team with vast banking experience, CEO and current president Mario Gomez Lozada is optimistic on demand from the Japanese market. The platform offers bitcoin and ether trading and offers deposits in 10 major global and Asian currencies. Japanese-language BtcBox allows users to buy bitcoin, litecoin, and dogecoin. It also comes with a companion app, available for Android and iOS devices. In March 2016, BtcBox announced partnership with Philippines bitcoin remittance-focused startup Remit.ph, to help facilitate transfers between the two countries. Another Japanese-language cryptocurrency platform on this list, Zaif allows users to buy bitcoin, NEM, and monacoin. The company also offers Smart ATM, payment options, and coin reserve (a dollar-cost-averaging investment service). One of the most popular bitcoin exchange platforms in Japan, the company successfully raised $6.2 million in funding from Tech Bureau Inc.
Shanghai-based bitcoin exchange LakeBTC offers the widest currencies (22 currencies to date, including JPY) and payment methods (12 methods to date) for users to buy bitcoin in Japan. Considered one of ‘The Big Four’ platforms, LakeBTC integrated Ripple gateway which enabled its customers to bypass all the delays and international bank transfers associated costs. The company also offers a free trading platform and remittance service. 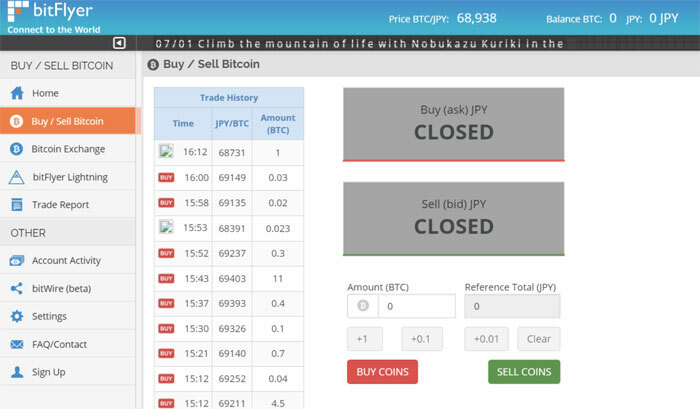 Popular bitcoin exchange Kraken allows users to buy, sell and trade bitcoins and accepts major currencies, including JPY in its platform. Verification is required before depositing funds, but JYP deposits are free (5000 yen minimum). Aside from bitcoin, users can also trade Litecoin and Ethereum with JYP, and trade bitcoin with Litecoin, Ethereum, Dogecoin, Ripple, Namecoin, and Stellar. 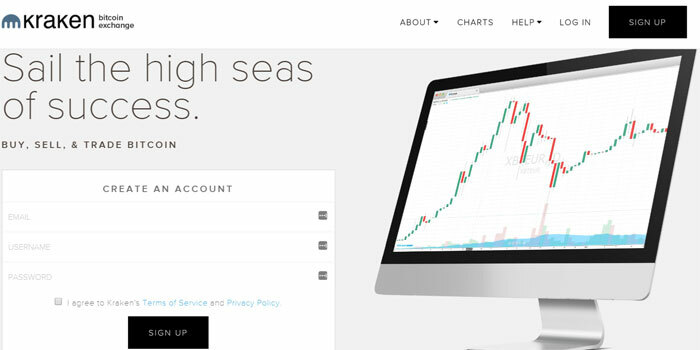 Kraken has positioned itself as a global bitcoin exchange and made a few acquisitions, including Dutch exchange CleverCoin, CoinSetter, and CARVirtex. Localbitcoins is not an exchange but a marketplace where buyers and sellers can meet online or in person to trade bitcoin. Its importance as a place to buy bitcoin should not be misplaced. It is useful as a place for people to purchase their first bitcoin without going through much KYC (Know-Your-Customer) procedures as customarily required by exchanges. Trading on Localbitcoins is generally riskier so be careful and only buy from traders with good reviews. The newest and arguably most anticipated bitcoin exchange service provider to cater to the Japanese audience, Coinbase in July 2016 received a $10.5 million investment and partnership with Japan’s biggest bank, Bank of Tokyo-Mitsubishi UFJ. As of press time, the details of bitcoin-buying through Coinbase has not been announced. Wirex is a London-based startup that market itself as a ‘hybrid personal banking platform’ which enables its users to spend bitcoin easily. 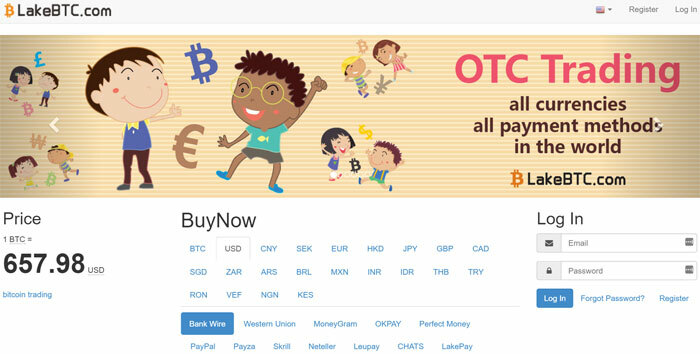 Previously known as E-Coin, a leading bitcoin debit card provider, Wirex supports ‘buy bitcoin’ feature to many countries around the world including Japan. Customers from Japan can buy bitcoin through international bank transfers in JPY. Besides the ability to buy and spend bitcoin easily with the Visa/MasterCard-linked bitcoin debit card, the platform also integrates advanced mobile banking and instant remittance services. Wirex comes with a companion app for Android and iOS (our review here). These are the platforms available to buy bitcoins in Japan. With green light clearance from The Land of the Rising Sun, demand for bitcoin in Japan is expected to continue its upwards trend in the future. Embed this widget on your blog by clicking here.